If you’re experiencing a toothache, root canal treatment may be the answer. There’s no doubt about it — no one wants to have a root canal done. The truth, however, is that root canal therapy doesn’t cause you pain, it relieves it. In other words, if you have a toothache that you’ve been ignoring, the best thing you can do is to schedule an appointment today because we’ll provide you with a comfortable atmosphere and exceptional dental care to make your tooth pain a thing of the past. 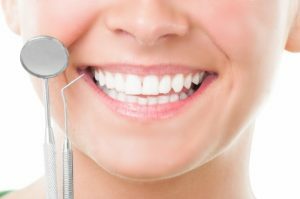 Preventative dentistry is the practice of routinely caring for your teeth to keep them healthy. This includes regular trips to your dentist for professional services which are vital to maintaining your oral health. They help to prevent and identify issues such as gum disease, cavities, oral cancer and more, before they become more costly and painful experiences. Exams are often recommended every six months, but the recall time can vary based on your individual oral condition. 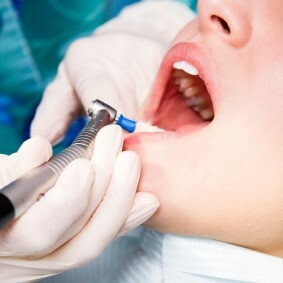 Oral Cancer Screenings are completed during your comprehensive and periodic exams. Examination of your soft tissues and radiographs are used in combination to detect any pathology if present. 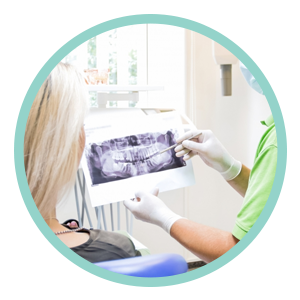 Early diagnosis is important for the best long term results, and oral cancer screenings are one reason regular dental exams are so important. 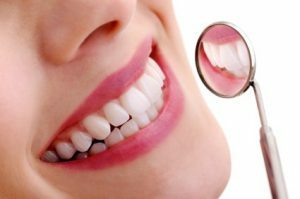 Dental Prophylaxis, also known as a cleaning, is a professional cleaning service designed to thoroughly clean teeth. It is recommended for individuals who practice good oral hygiene and who are free of active periodontal disease and inflammation. Regular cleanings can help to diminish the development of cavities and gum disease. 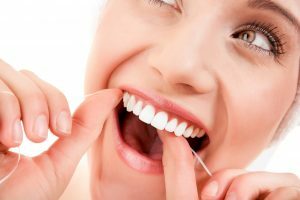 Prophylaxis is often recommended every six months, but the recall time can vary based on your individual oral condition. Fluoride Varnish is highly concentrated form of fluoride applied quickly and painlessly to teeth in a gel-like form to help strengthen teeth and reduce sensitivity. Periodontal disease is an infection of the tissues that surround and support your teeth. It is an inflammatory process caused by a chronic bacterial infection that results in the loss of bone and gum tissues around teeth. This disease is a risk factor linked to other health conditions such as heart disease and diabetes to name a few. Once present, the disease can be treated and controlled (remission), but it is not completely cured. Therefore, it is important to maintain a regular maintenance program to prevent relapse. The frequency of these visits depend on the severity of the disease, your overall health, and type of bacteria present, but can range from six weeks to six months. When back teeth erupt, they have tiny grooves that the bristles of a toothbrush cannot always clean. Bacteria and food particles are often left in these areas, potentially resulting in decay. 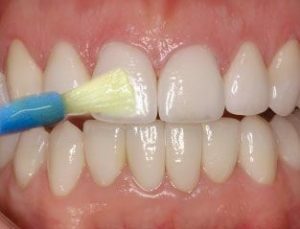 A sealant is a quick, painless procedure in which a tooth-colored acrylic material is placed in these grooves to create a smooth surface that is more easily kept clean. To schedule your preventative care, call us today.